Trading in Contracts for Difference (CFD) is highly popular for many reasons, and traders of all experience levels find this method a fantastic way to make large gains on trades in a quick and efficient manner. There are many benefits for people trading in CFD’s, so let’s look into where the attraction lies. Getting involved in CFD trading through City Index for instance, one must remember that you are not actually taking ownership of an asset like a share or a commodity, but merely predicting the price movement of almost anything. For this reason you aren’t required to pay stamp duty. CFD’s work out more affordable in tax terms as the cost of the CFD trade transaction can be deducted for tax reasons, reducing the amount of any tax you might have to pay on the trade. Traders can perform CFD trading on over 10,000 markets. Forex, commodities, indices, cryptocurrencies, shares – there is almost no instrument that is out of bounds for use in a CFD trade. There is also the added benefit of having all these markets available to you on one trading platform. Today the Internet makes it possible for you to log in to your broker and choose to CFD trade on whatever you please. If you buy a share you are doing so in the hope that the share will rise in value. CFD’s allow you to trade on share markets falling, as well as rising, making it possible for you to always take advantage of which way markets are moving. This allows you to take up hedge positions to minimize the risks you incur when investing money in trading. When you buy a share you are required to pay the full amount of the share. CFD trading works on margins, so you therefore only need to deposit part of what the trade’s full value is to open a position. The name of the deposit you put down is the margin. If you deposit 10% of £100 the broker is essentially loaning you £90, although it is by no means a traditional loan. Essentially what is happening is that you are trading on the price movements of an underlying asset without the hassle of actually having to pay full price for the said underlying asset. Another advantage of not having to deposit the full value of the trade is that it frees up funds you would have had to have deposited to make the trade if it was on traditional shares, and allows you to put them towards more trading opportunities. CFD broker fees are very rarely expensive, and far more affordable than buying shares through a traditional share broker. Obviously there are the tax benefits, but there are just very few costs in general when making use of CFD’s. 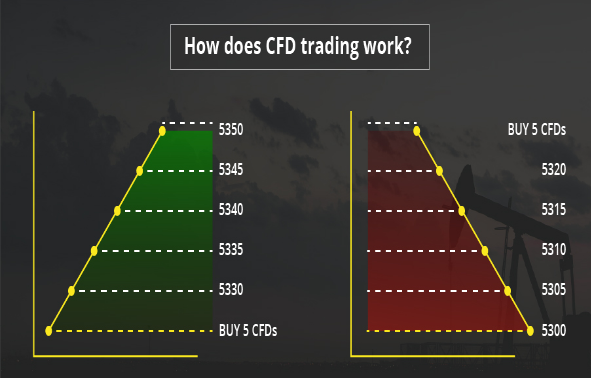 There are many other benefits to CFD trading, but these core ones indicate why traders see value in this method of trading. This doesn’t mean that there is no risk involved, which there most certainly is, but should give you an idea of why CFD trading is a profitable route to take.